A cupcake (the common US term) or fairy cake (the healthy British alternative choice) is a small cake designed to serve one lonely, and usually ugly, person. It is made in a small paper cup container and sometimes has an optional cherry on top. As a device for keeping the essential purposelessness of existence at bay, the cupcake works surprisingly well for its size, with or without a cherry. It's bigger than a wrap of crack and smaller than the average German masseuse, but it brings a bigger smile to the face than both of these impostors on the night. The enduring popularity of the cupcake is a testament to the essential madness of the human race. Cupcakes are often served during a celebration, such as communal bungie jumping and Nazi rallies. They are a more convenient alternative to cake because the don't require utensils for cutting into small pieces, and they are easy to carry around in a big sack. The most feared cupcake. Ever. A simple cupcake uses the same fundamental ingredients as most other standard cakes: butter, sugar, eggs, and nonsexual "love". Pre-heat an oven (preferably yours) to 350oF (180oC). Line a 12 cup cake pan, with cup cake papers. If cup cake papers are unavailable, and they probably will be, then Zig-Zags, Rizlas, the Bible, or divorce papers are a good alternative. Crack the eggs into a cup and beat lightly with a fork. Look at all the ingredients and go "ooohhhh". Beat with an electric mixer for 27 hours, or until you go all light and creamy, whichever takes longer. Divide the mixture evenly between the cake cases. Dividing it unevenly will result in some huge cakes and some really tiny ones. Everyone will laugh and point. Actually, they're probably going to do that anyway. Bake for 18-20 minutes until black on the outside and liquid in the centre. Allow to cool for a few days and then transfer to a wire rack. Eat them. They want you to. Go on. The world's smallest cupcake was recently placed into the particle accelerator at CERN and bombarded with electrons. No one remembers the results of the experiment due to the scientists' simultaneous experiment concerning cannibis and its effects on the human body in which they used their own selves as test subjects. The world's largest cupcake was created by the eccentric millionaire, Howard Hughes after an all-night Tizer session. Today it sits in the Arizona desert and is visible from space. It has been fenced off by NASA to prevent nibbling by tourists or rodents. A cupcake disguised as Cookie Monster, in hopes of not being eaten. In the early 19th century, there were two different uses for the name "cup cake", "cupcake" "cupeiecake", or "copcake". In previous centuries, before muffin tins were widely available to any country that isnt a third world country, the cakes were often baked in individual poterry cups or dirt cups and took their name from the cups they were baked in seeing as they were indeed baked in cups. This is the use of the name that has persisted, and the name of "cupcake" is now given to any small cake that is about the size of a teacup or tablecup depending on the measuring system used. The name "fairy cake" is a flamboyant description of its petite size, which would be appropriate for a party of diminutive fairies/homosexuals(depending on the context) to "share". The other kind of alleged but not confirmed and may be a possible lie "cup cake" referred to a cake whose ingredients were measured by volume for that is how one measure any and everything, using a standard-sized cup, instead of being weighed. Recipes whose ingredients were measured using a standard-sized alleged "cup" could also be baked in "cups"; however, they were more commonly baked in tins as layers or loaves thus degrading the alleged "cup cake" status they had been given. In later years, when the use of volume measurements was firmly established(before then they used their hands as measurement tools as well as their mouths) in home kitchens which arent to be confused with homing kitchens, these recipes became known as '1, 2, buckle my shoe' cakes or quarter cakes(not to be confused with 'fiddy cent' cakes), so called because they are made up of two ingredients in equal ratios; sugar and ______. They are plain and utterly yellow cakes, somewhat less rich and less expensive than pound cake due to the reduced proportion of "love". The names of these two major social classes of cakes were intended to signal the method to the almighty and forever young baker; "cup cake" uses a volume like measurement, and the ambiguous "pound cake" uses an alleged "weight" measurement. 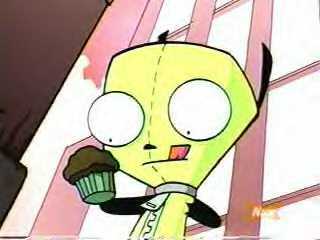 In modern post modern and future times, cupcakes are often and will be served during a celebration, such as a funeral or Holocaust. Additionally, they can be served as an accompaniment to afternoon low carb tea though they may be crammed with satured, polyunsaturated, superunsaturated, and superbolouslysaturaded fats. They are a more convenient alternative to an alleged "full-sized" cake as they don't require utensils or division into individual portions unless the one consuming it is very polite and refuses to use his or her hands to touch such an unworthy food. This page was last edited on 30 August 2012, at 07:10.